Propeller Anime: Propeller Anime's 11th Anniversary Party! Friends! 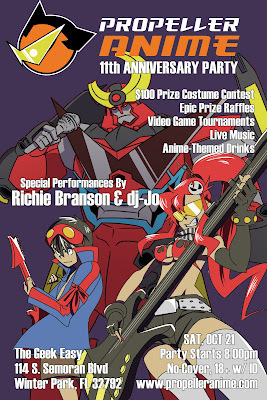 Propeller Anime turns 11 years old this October and we're going to party right into our birthday! 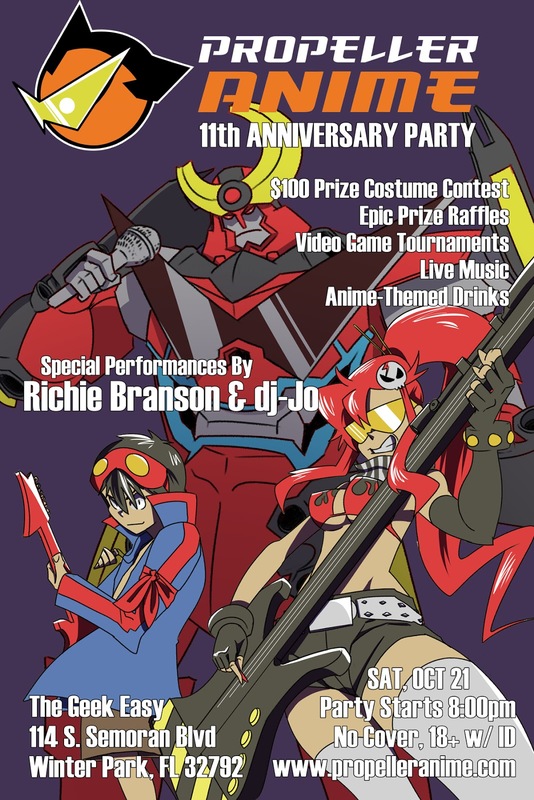 On Saturday, October 21st, we'll be at The Geek Easy to celebrate all these years of anime, friendship, and partying! We have some really amazing stuff planned and here are some things to expect! And best of all, this event will be FREE! This our thank you to the community to continued support! Prize support courtesy of Aniplex USA, Funimation, Viz Media, Ongaku Overdrive, Orlando Nerd Fest, Anime Orlando Inc, and Sentai Filmworks. Make sure you support them since they have supported us! Our party starts at 8:00pm and The Geek Easy located at 114 S. Semoran Blvd. Winter Park, FL 32792. We will have more to announce so stay tuned.